Until she meets Kasia, the king’s huntress – and is given someone else to find and a reason to keep living. But is she already in too deep with the fae? And even without them, can she, a lowly servant, be with the king’s huntress? The problem is I have trouble putting my finger on exactly why I didn’t enjoy it. It was deep and nuanced and meaningful and really built Ash as a character. And boring, yes, sorry, kinda boring. There’s comes a point when a character can poignantly visit her mother’s grave in the woods in the middle of the night when you kind of want to just stamp “mummy issues” and press the fast forward button. 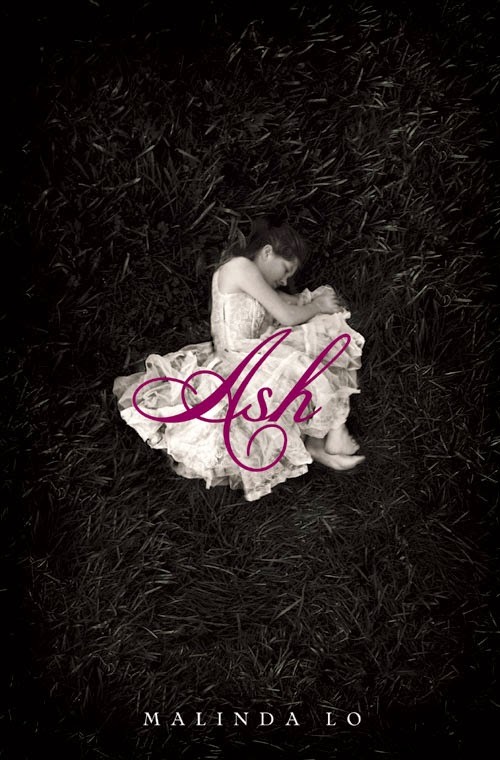 And, yes, again I do cringe because I can pull back and say how well it was done, how well chosen the writing, how much this did fully bring to life Ash’s grief and loss and her despair without her having to be melodramatic. Little things like the favourite stories she had being of people who got lost in the land of the fairies never to return – because to her, with nothing to live for, they felt like happy endings. It was wonderfully poignant without having to get truly melodramatically monologue-y about it all; her pain was clear and powerful without ever having to hit us over the head of with it. But it’s soooo long. I found it work and I hate that I did and I tried to love it and desperately resisted the urge to skim – but soooo looong. Sooooo very looong. Perhaps, in part, it’s the media about this book. It’s always been described as a lesbian Cinderella story and the parallels with Ash are very clear very early in the books. But that kind of leaves you in relatively little doubt as to where the story is going to end. It’s more a case of being curious as to exactly how it gets to the ending we know is coming. So when we spend a long time telling the preamble parts of the story which are pretty much parallel to the classic fairy tale it feels like we’re not only spending a long time on these parts – but we’re spending a long time on these parts that we’ve already read several times as well. On another personal taste element, I was immensely frustrated by all of this magical faerie world being touched upon and none of it explored in any great depth. And I understand that because this is Ash’s story and the mechanics of magic are not really high on her priority list – but personally I want more to explore there. There’s also an interesting position of women in the society but also somewhat confusing to me – with roles like the huntress being officially part of the court hints at a great deal and really intrigues me with how the gender roles work. Especially since the flip example is Ash’s step-sisters with her older sister desperate to find a husband (regardless of whether she likes the man or not) simply because it’s the only way to fix their finances and reclaim their old lifestyle – but we have Ash’s frustration with her younger step-sister demanding that she actually do something with her life, find a profession or business, rather than putting all their hopes on netting a husband no matter what. I am curious here – yes I can see why Clara would find getting a profession hard to impossible since she hasn’t been educated to one – but why? Clearly Ash considers a woman getting a profession not to be revolutionary and we have the traditional role of huntress being exclusively available to women and we clearly have female-female households where, presumably, at last one of the women has a profession; so why have the stepsisters being raised with marriage (straight marriage at that) as the only possible “career choice”? I’m not saying this isn’t impossible if we throw in class and world building – but that explanation is missing. A good point about this is that even the female villains of this book are more complex than we’d expect. Yes her stepmother is cruel, but she really had reduced the number of servants simply because they cannot afford them – her daughter is marrying for them to endure and, as one stepsister, Clara, makes clear to Ash they’re not in a very good position. We see from the man they’ve picked out that it’s not exactly a match they’d choose if they didn’t need the money. Similarly Clara has a rather epic scene of pricking Ash over assuming that the stepsisters should want what she wants or should follow the path Ash finds acceptable. On POC – ok I have seen a huge number of people and reviewers describe Ash as a WOC – an Asian woman. Honestly, I missed it and I was looking for it, but I don’t remember any indicators that she was. However, given the number of people who have said she is I admit that could entirely be my flaw here in my battle to actually try to like this book. Descriptions of many of the characters is sparse. There are so many good elements in this book. Excellent elements. The concept is excellent. The characters are excellent. The setting is excellent. The centralising of a relationship between two women is excellent. But the actual storytelling just doesn’t interest me or draw me in at all which is really frustrating to me. I want to like this book. It has every element that should make me love this book – but it just doesn’t carry it through for me.